Ned Batchelder: Making Peace With Autism is now available! Making Peace With Autism is now available! 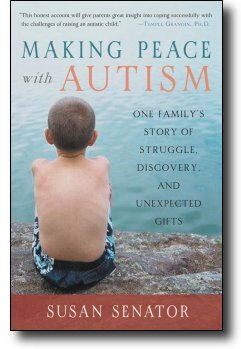 Making Peace With Autism is my wife Susan’s book about our family and how we have dealt with autism. It is available today from Amazon, or any bookstore. Please consider buying a copy. Heck, buy two! It’s been an incredibly long process to get this book into readers’ hands, and I’m very proud of Susan for making it happen.